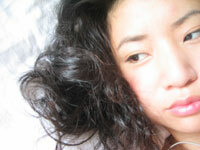 Tricia Wang loves NYC and the world! DISCLAIMER: DON'T TAKE THIS BLOG TOO SERIOUSLY! My good friend's best friend,Tiesha Sargeant was killed last week. shot in the head execution style at the apartment she shared with her boyfriend. The press coverage of her death has been appalling. The NY Post, Diaro and Daily News are the only who have mentioned it so far. However, their coverage does not do her story justice. Tiesha unfortunately died on the wrong island of NYC and was born black. For one moment, just imagine if Tiesha was a white skinned woman, killed in the Upper East Side on Manhattan. Just imagine that the killing didn't take place in Brooklyn's Flatbush on Bedford Ave. Just imagine what kind of coverage this would have received? It would've been in NY Times, CNN and more. There would be immense pressure on the police to have an accountable investigation. If a young, prep school educated, light-skinned woman with a college degree, was killed execution style with a sheet thrown on her head on Park Ave, the coverage would certainly be more thorough, and writers certainly would've have attempted to investigate the complete life of the woman. Teisha was prep school educated, Wesleyan graduate, upper management at Conde Nast, and sooooo much more. ..at least her friend and family know. Contact Whilelmina Eaken about contributions. Another Brearley student was murdered recently. She was white, educated, killed brutally, and received the same amount of press coverage. Sometimes families don't want a lot of press coverage; sometimes they beg the press to stay out of their affairs. Instead of presuming there is a race angle to the lack of press on this issue, let's instead consider how a large amount of press can upset the loved ones of the victims. Also, I'm sure you know that what police are investigating isn't always what is covered in the newspapers. My heart and prayers go out to you and Tiesha's love ones. I live on the west coast (Las Vegas), and I hope and pray that the inhumane individuals responsible for this brutal crime will be captured and prosecuted. May God Bless You and Tiesha's Family. This is a Flickr badge showing public photos from triciawang. Make your own badge here. This is my blog from 2005-2006. My new blog is here. Everything else is here. Me eats a lot a lot a lot, seriously addicted to Bed-Stuy's Shakoor's infamous sweet potatoe cheesecake, obsessed with 99cent stores, always looking for badminton partners, takes pictures of fashion titicacas and titillations, and documents social gaucheries.